Later, Egyptian security forces hemmed in a couple of American activists at the American embassy. Most of these activists were Americans who had signed a pledge to be nonviolent. As I write, hundreds more are on the steps of the Egyptian press syndicate. Secret police huddle nearby, muttering into their walkie-talkies. Two squadrons of serried riot cops, armed with truncheons and guarded by Plexiglas shields, are on either side of the steel riot barriers sitting in front of the protesters, walling them off, or trying to wall them off, from the Egyptian public. All of these people are part of the Gaza Freedom March, an international coalition that was formed to end the siege of Gaza – 1,400 people from over 40 countries, including Palestinian writer Ali Abunimah, Alice Walker, Filipino Representative Walden Bello, President of the Center for Constitutional Rights Michael Ratner, Bill Ayers, Bernadine Dohrn, and others. Conceived during a Code Pink delegation to the Gaza strip after the Cast Lead incursion, the organizers envisioned a massive, peaceful nonviolent show of international solidarity with the Palestinian people. They had envisioned several days of commemoration of those who died during the winter attack, several days of bearing witness to the rubble, the unreconstructed homes, the damaged sewage plant, the widespread destruction. 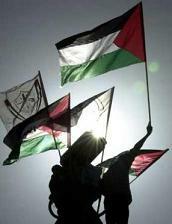 Through late December, the Gaza Freedom March had been in ongoing, amiable talks with the Egyptian government. The government waited until last week to deny entry to the Gaza Freedom March, citing security concerns. There have been several shooting incidents along the Gaza-Egypt border, provoked by Egyptian construction of an American-funded, 50-foot deep, steel barrier, sunk into the ground on the border between Gaza and Egypt. The wall is an attempt to stop the smuggling traffic that constitutes Gaza’s lifeline. Reports suggest that security concerns are not the issue. One embassy staffer told a Gaza Freedom March participant that the US State Department fully supported the Egyptian government in denying the marchers’ entry into Gaza. One of the march’s organizers, Gael Murphy, suggested that the US government perhaps called the Egyptian security forces to come to their embassy, to protect it from its own citizens. None of this was planned. The plan was for the march to go to Gaza, not parade and rage in Cairo, nor to get harried by the Egyptian security forces, time and again. The situation with the French delegates seems particularly tenuous. Initially, the French delegation, the EuroPalestine group, took over a four-lane boulevard in front of the French embassy, blocking traffic for many hours with tents and their bodies. The French ambassador to Cairo came down and said that he would secure buses to Rafah for them or they could go back into the streets. At around 2 AM on December 28, the Egyptian security forces ordered several personnel carriers crammed with riot cops to surround the French encampment. They have been there now for almost two full days. The Egyptian government has threatened them with deportation if they cross the steel riot barriers it is using to pen them in. It has threatened to throw the lot of them into the French high school until their flights leave for France. They continue chatting with the Egyptian security forces, many of them young men earning perhaps $100 a month, their sympathies with the Palestinians and solidarity activists, not state policies. Meanwhile, the marchers at the US embassy have been released after being detained for a few hours by Egyptian security forces. Medea Benjamin, one of the march’s organizers, said that the Egyptian security forces treated them quite “roughly,” pushing them around, herding them into pens. Electronic Intifada founder Ali Abunimah added that the delegation’s “intention was simply to enter the embassy and request a meeting with the ambassador” in order to facilitate transit to the Gaza strip. They were initially told they could enter, and walked past the bomb-sniffing dogs, until an Egyptian security officer with “a lot of gold stars” ordered them back away from the embassy. As more people showed up, it “developed into a stand off.” This had never been their intent. Ultimately, about 40 people were detained outside the embassy. Organizer Kit Kittredge-Siemion says that “because we weren’t allowed in, we pulled out our banners, sang our songs, because that’s illegal in Egypt, they barricaded us, they blockaded us.” Political gatherings of more than six people are barred under Egyptian law. And she added, “for 3 hours people were held behind barriers for trying to see their own embassy.” The embassy has cameras monitoring the physical location where the Egyptians detained the marchers. They also confirmed that they are providing technical assistance to the Egyptian government as it builds the 50-foot deep steel wall along the Gaza-Egypt border. Meanwhile, efforts to traverse the Sinai and get to the Rafah crossing have slammed into the wall the Egyptian security apparatus has erected. Most recently, a joint Greek-French foray of 150 people attempted to leave Cairo. The Egyptian Army and security forces stopped their buses on the highway just outside the city. Negotiators forced the Egyptian forces to allow them to travel back to the city to a place of their choosing, where they had arranged to rendezvous with journalists. The Egyptian security forces escorted them back to the hotel of their choosing, the Circle Hotel, then shooed them back on to the buses, preventing them from communicating with the press. Afterwards, they started wandering around the Greek delegation’s hotel. Other groups have attempted to get to Rafah by other means. The security forces have taken away their passports, or placed them under house arrest. They have sworn that they will not let the marchers enter Gaza. But this will be hard. The government interdicts every bus that tries to leave Cairo, and has a series of security checkpoints on the road between Cairo and Rafah. It has a security force of over a million, supported by 1.7 billion dollars in yearly American military aid. That’s no slight barrier to circumvent. Max Ajl is a writer who resides in Brooklyn. He has written for the Guardian, the New Statesman, Boston Review, and blogs on climate change and the Israel-Palestine conflict at www.maxajl.com.